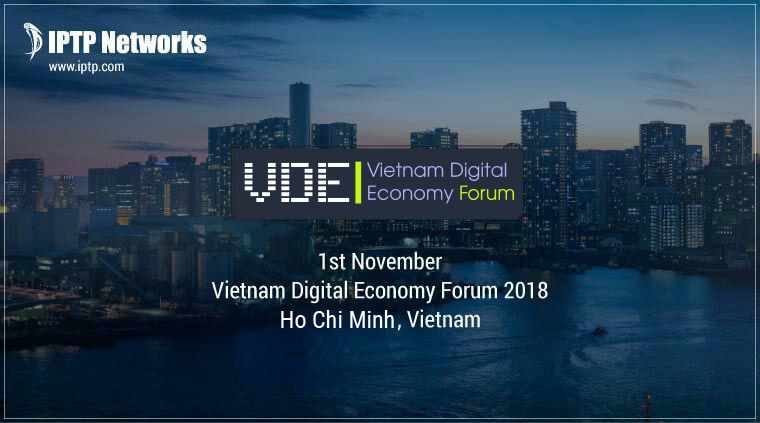 Vietnam Digital Economy Forum 2018 (VDEF-2018) takes Vietnam, a fast growing economy of a 93 million population in South-East Asia, as a business case study to propose specific recommendations for firms, organizations, and professionals from Vietnam and other countries. It will be an unique occasion for meeting decision/policy-makers, navigating and implementing strategic initiatives and solutions. IPTP Networks team will be presented at VDEF 2018, which aims to provide a platform for leading experts, policy makers and enterprises interested in this topic over the World. We hope to be a part of all those companies contributing to Vietnam’s Economic Transformation in the Industrial Revolution 4.0.